JadeLink Hotel’s function rooms and banquet halls are well equipped with a variety of multi-purpose facilities, namely dimmer, projectors, screens, sound system and Wi-Fi access to the Internet. 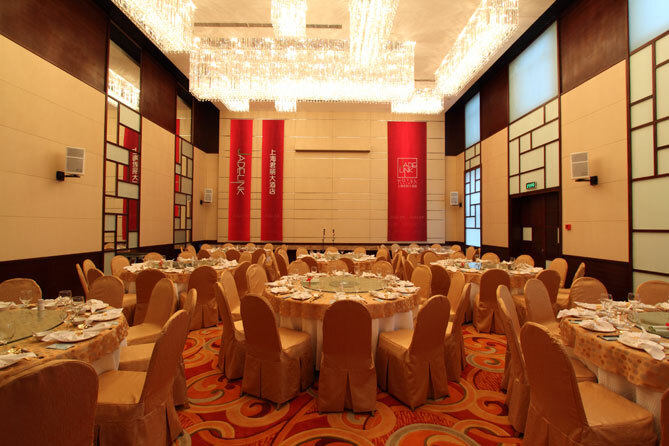 They are the ideal venues for board meetings, business conferences, seminars, press release, business banquets, wedding dinners and other formal or social events. JadeLink Hotel has a team of professional and acknowledgeable staff who has been trained to assist you in planning and delivering a memorable event that you require to the highest standard. 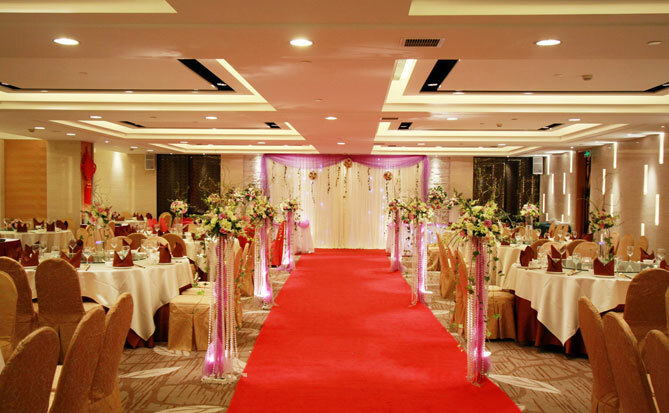 The function rooms and banquet halls are elegantly decorated to give modern and luxury atmosphere which would delight your business partners, guests, friends and loved ones. Please contact our Catering Sales Team by email or call 021-2216-1888 for further information..
Two souls with but a single thought. When your wedding dream become a reality, let JadeLink Hotel’s grand, magnificent and luxury facilities host the wedding party you dream for, and coupled with the hotel’s professionally-trained staff and services, demonstrate the magnitude of happiness, romance and commitment you are prepared to announce in a once-in-a-lifetime event. 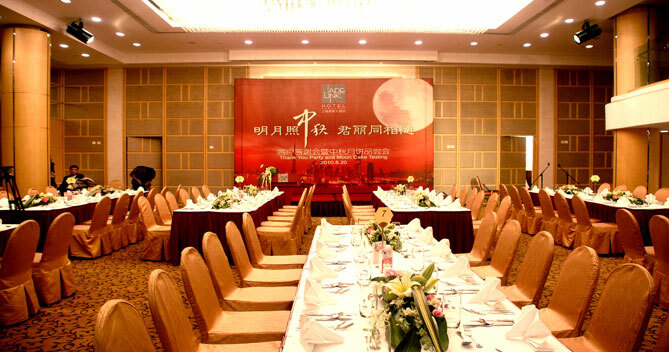 Banquets organized in JadeLink Hotel can be served with Chinese or Western cuisine, and any of their combination on request. Our seasoned chefs from Hong Kong and Shanghai are keen to delight you in a Cantonese or Shanghainese style banquet, offering high-quality dishes and specialties that are second to none in town. For example, Cantonese-style barbecued suckling pig is one of the signature dishes on our menu that cannot be missed in an important occasion. What is more, our chef for western style cuisine has the expertise that you may like to look into to host a western buffet party. 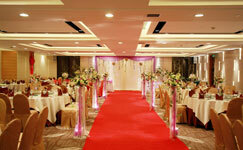 > Download JadeLink Hotel’s Wedding Package here.. 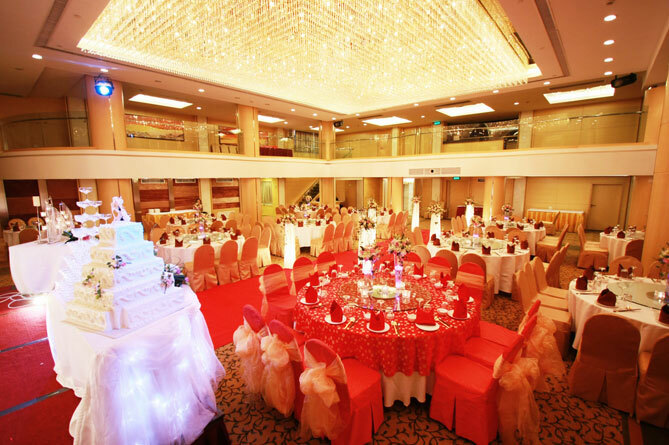 The JadeLink Ballroom offers a generous, magnificent venue of 460 square meters wide, 6 meters tall and a unique balcony to host banquet party for up to 220 guests. The huge crystal ceiling lights accentuate the luxury and elegance of wedding party and bring you the most lavish wedding experience to remember for the whole life. 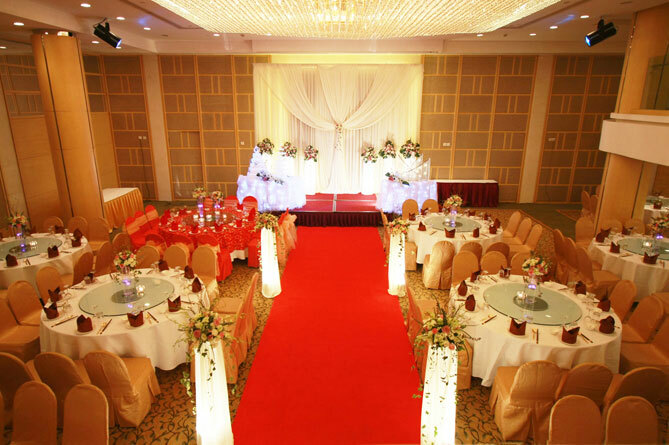 For events ranging from business meetings, convivial cocktail parties, educational workshops, vocational trainings, seminars to wedding feasts, this elegantly designed venue is proud to produce a unique experience for everyone. The JadeLink Ballroom allows a spacious area for reception, and artistic paintings are displayed to add delightful atmosphere to your greetings and welcome to guests. This multifunctional, split-level venue also features a balcony where a small bar can be used to treat guests with a welcome drink, coffee during a recess, or to hold a small, separate meeting. The JadeLink Ballroom is fully equipped with audio-visual facilities and communications devices of the latest technology such as a fully integrated sound system, a video and lighting system. The JadeLink Garden is the ideal place to host a small banquet for up to 120 guests. 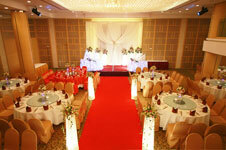 This venue, measures 280 square meters with no obstruction of view, is elegantly decorated and equipped with facilities. 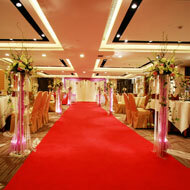 It is a perfect choice to host a small wedding party for close acquaintance. The Oak Room and the Ivy Room are of similar size. These 150 square meters multifunctional rooms are the ideal venues for board meetings, business conferences, product presentation, press release, and other formal or social events. The beauty of the Oak Room attracts everyone as it displays elegant decoration, celebratory color scheme, a high ceiling of 6 meters, and grandeur lightings. It is a perfect choice to host a small party for close acquaintance. The Laurel Room is located on the second floor of the hotel. 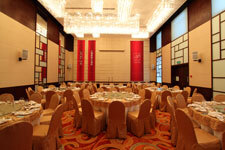 With an area of 140 square meters, it is the ideal venue for a banquet or an event for up to 50 persons in five tables. 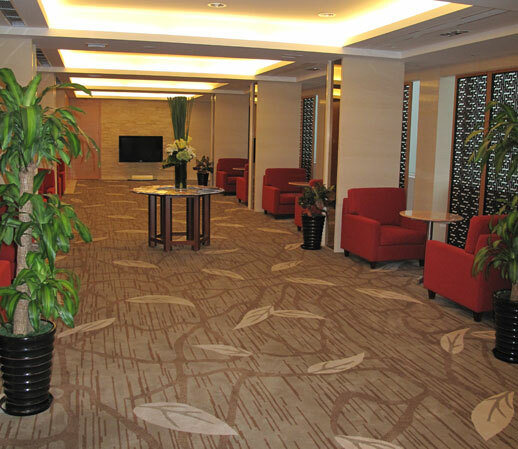 This location is ideal for a function with relatively casual atmosphere for participants. 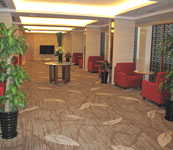 The Link Room is located on the first floor of the hotel. 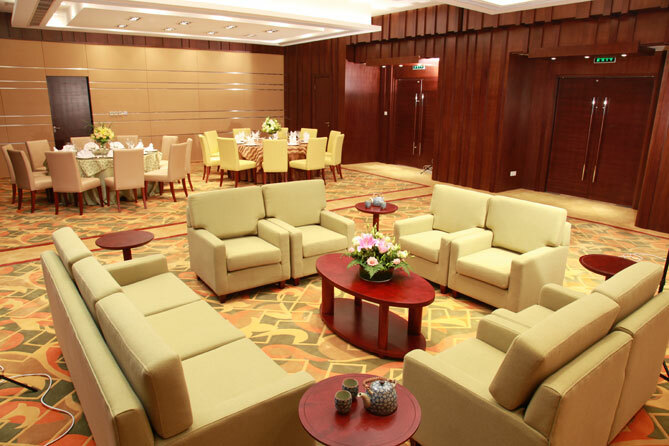 It is the ideal venue to host a small event for close acquaintance.